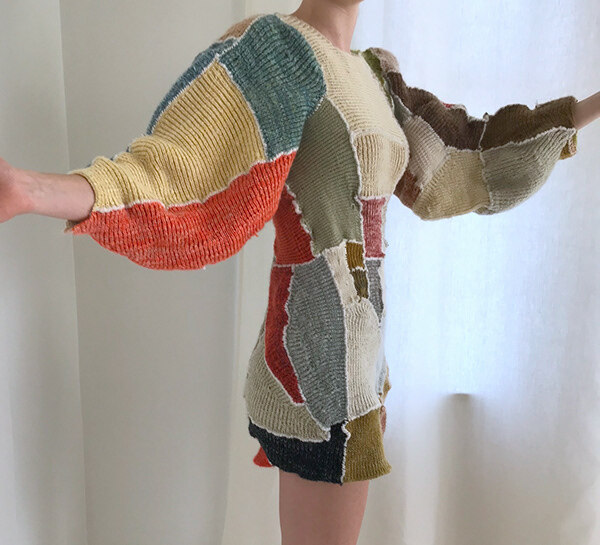 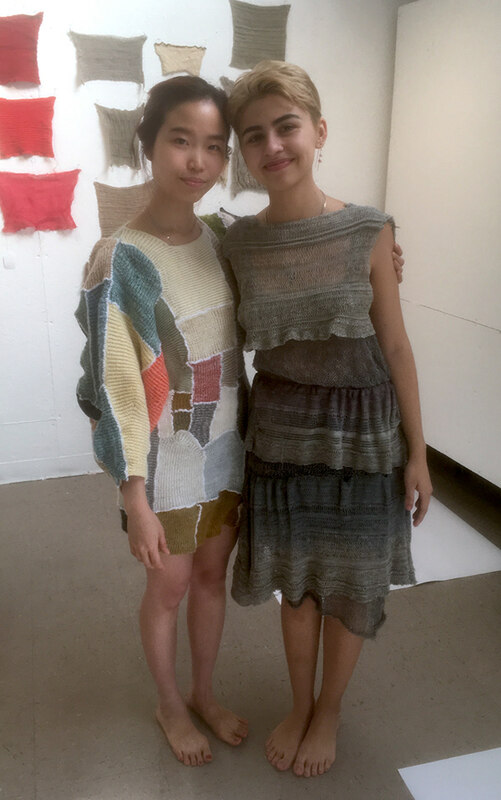 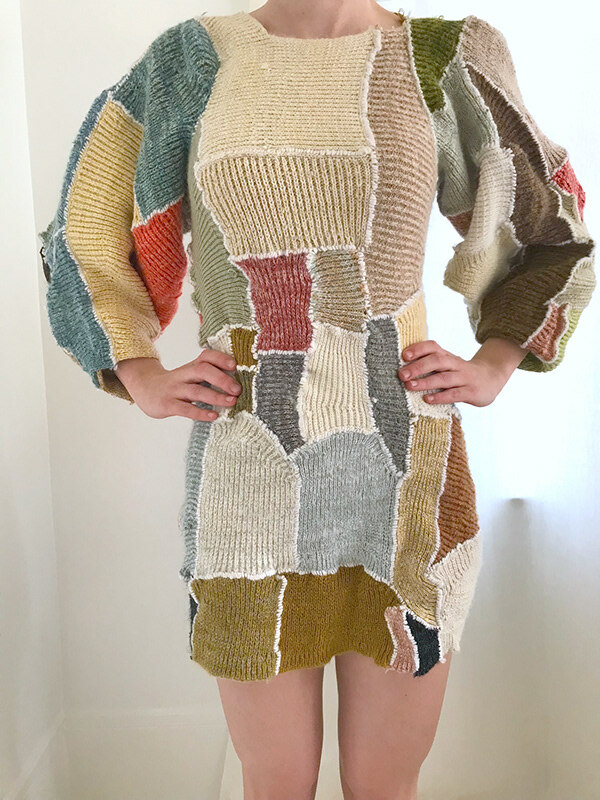 I created this dress on a double bed knitting machine. 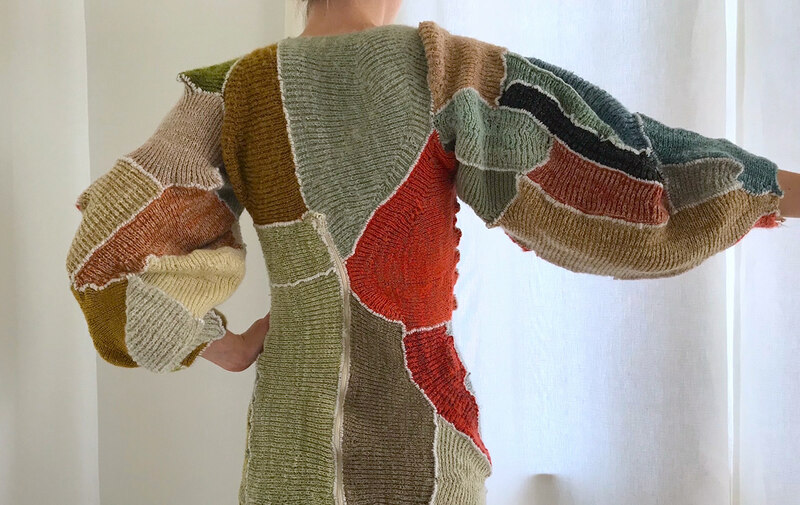 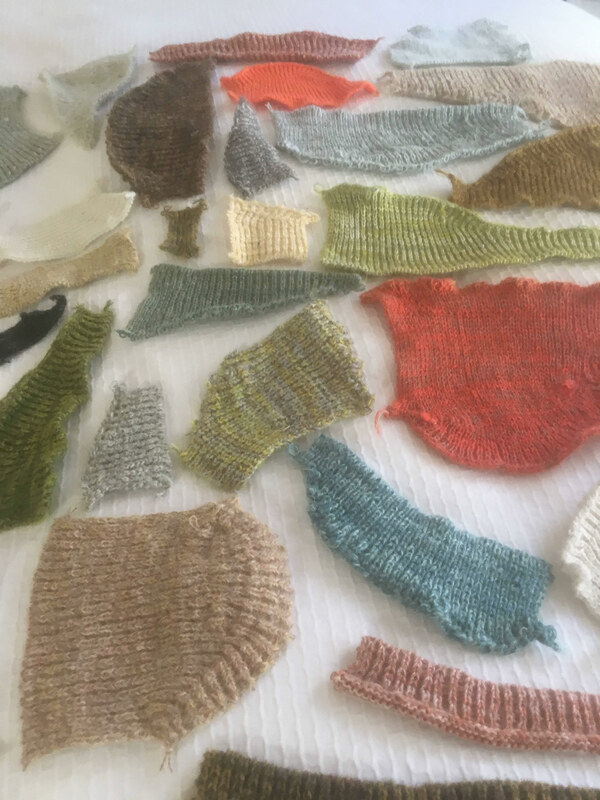 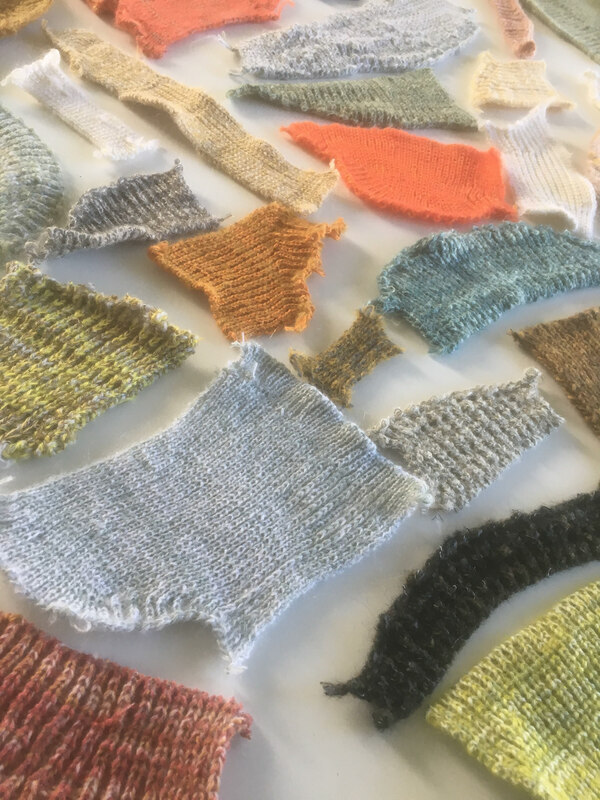 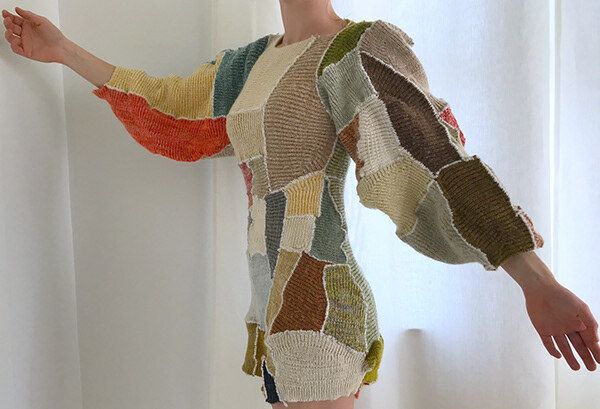 I used shaping to create different organic shapes, then hand stitched them together to mimic stained glass windows, agricultural fields, or patchwork. 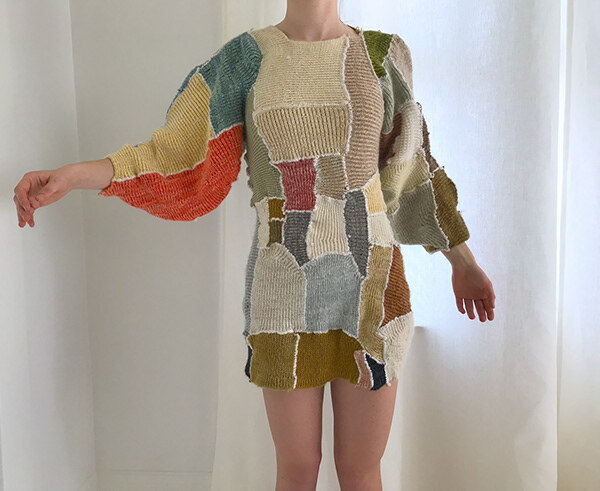 This dress was inspired by how I like to collect organic materials, like shells or leave or flowers, and organize them for myself.